I admit I am not the best at getting my kids outside during the winter months. Once the snow hits and the temperatures plummet below zero, I am more then happy to pay admission to the nearest indoor playground and happily sip my coffee in the warmth as the kids play. 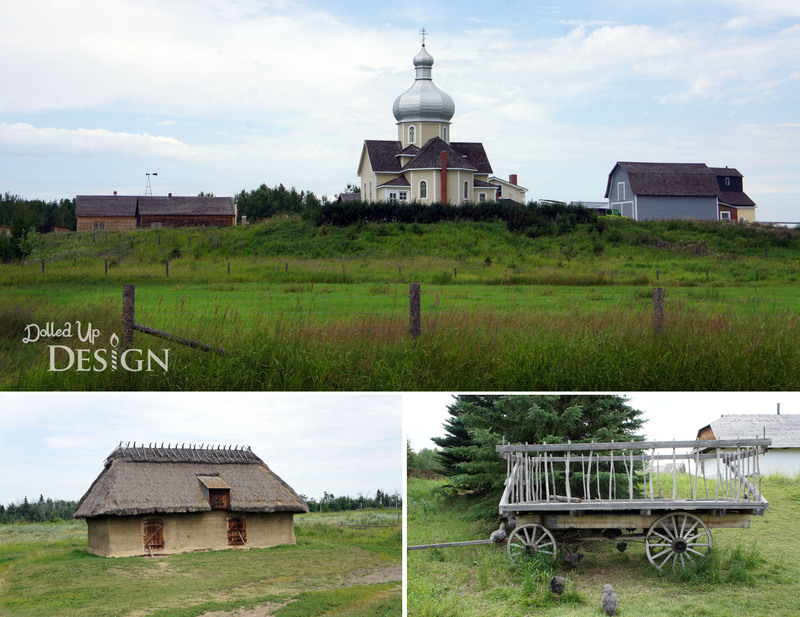 I have driven past the Ukrainian Cultural Heritage Village, just east of Edmonton, several times and have always wanted to check it out. My mom lives out that direction, so this summer we decided to meet up and spend the day together with the kids seeing the sites. It took the kids and I less the an hour to drive out to the village from the Southside of Edmonton and the highway is well marked as you near the Village to make it easy to find. There is ample parking and the staff all seemed very helpful and informative if you did have questions. There were also costumed interpreters throughout the park that did an excellent job of keeping in character. My mom questioned the young lady in the grocery store about where they found the old packages and bottles and she would not break character, telling her they had just arrived via train. The village is fairly widespread which means a lot of walking to get between the different buildings. Even to get from the main gates into the village is quite the little hike through a treed area and over a small pond. I brought my wagon along, but was quite tired by the end pulling the kids over the gravel roadways. 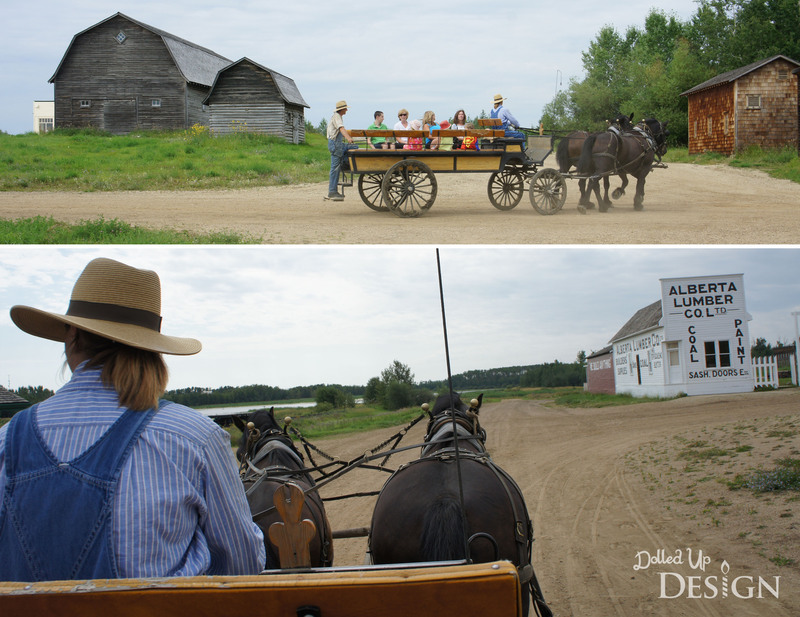 There is a horse-drawn wagon that runs throughout the park and is happy to help transport you through the Village. 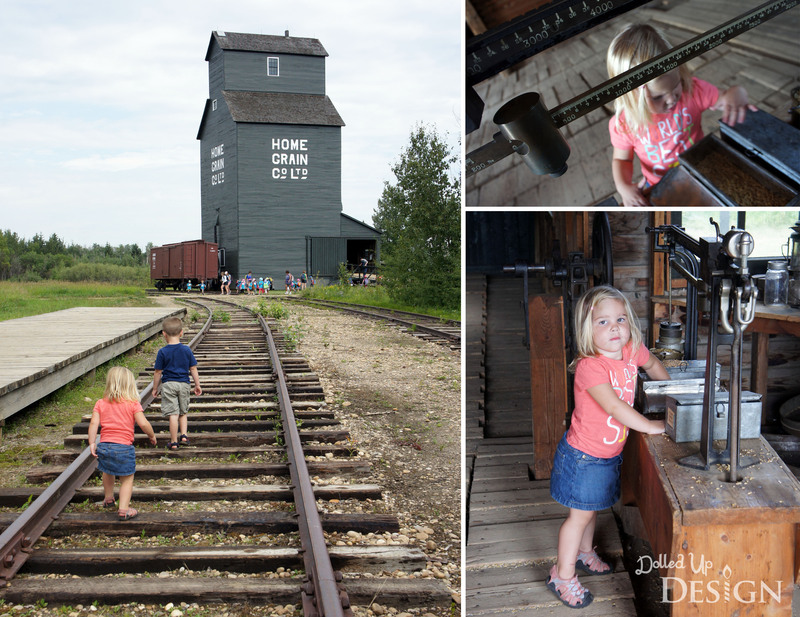 We hopped aboard it for a small loop just so the kids could enjoy a wagon ride. 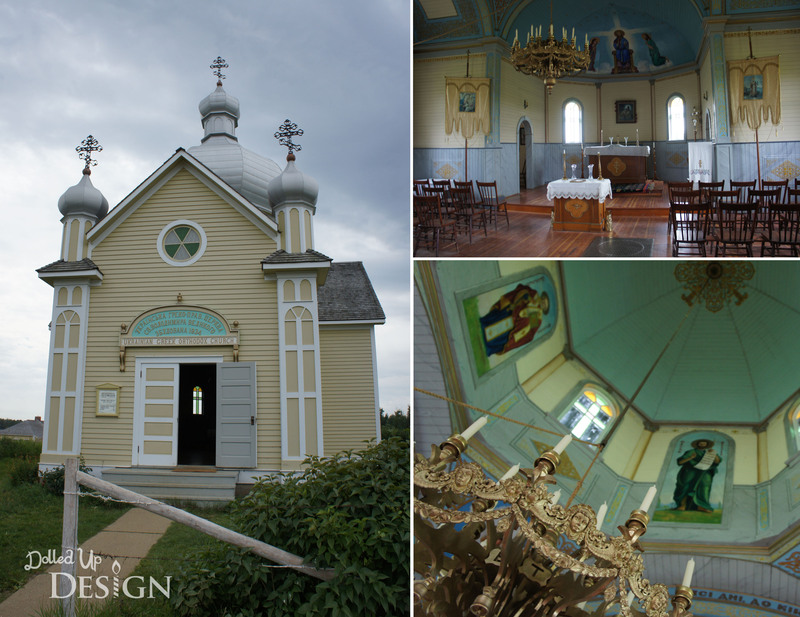 There are two different churches on site and they have done a wonderful job restoring the religious artifacts and artwork inside. There weren’t as many buildings as I was expecting, but they all seem very well kept and authentic to the time period. The village seems to be constantly adding buildings and there were quite a few under restoration when we were there so it might be worth going back in several years to see how it has changed. 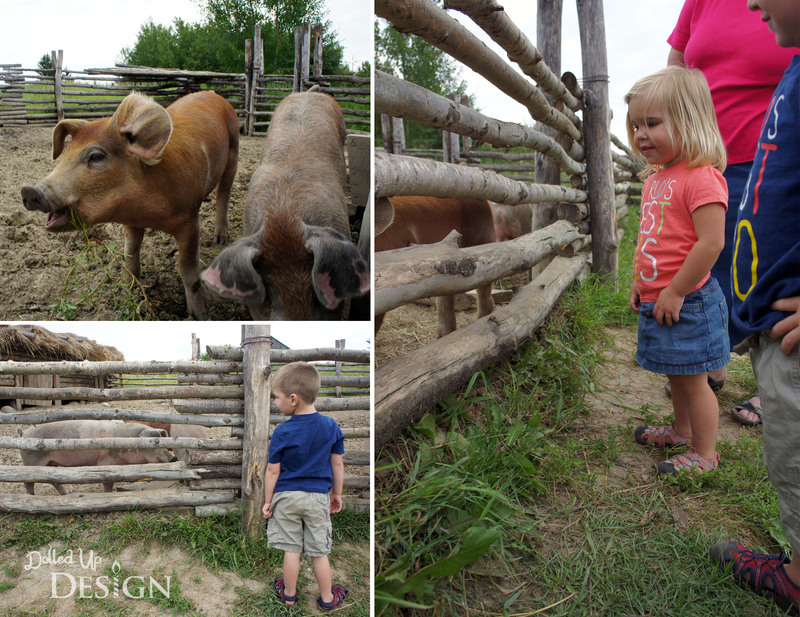 The farm animals were, by far, the biggest hit for my kids. 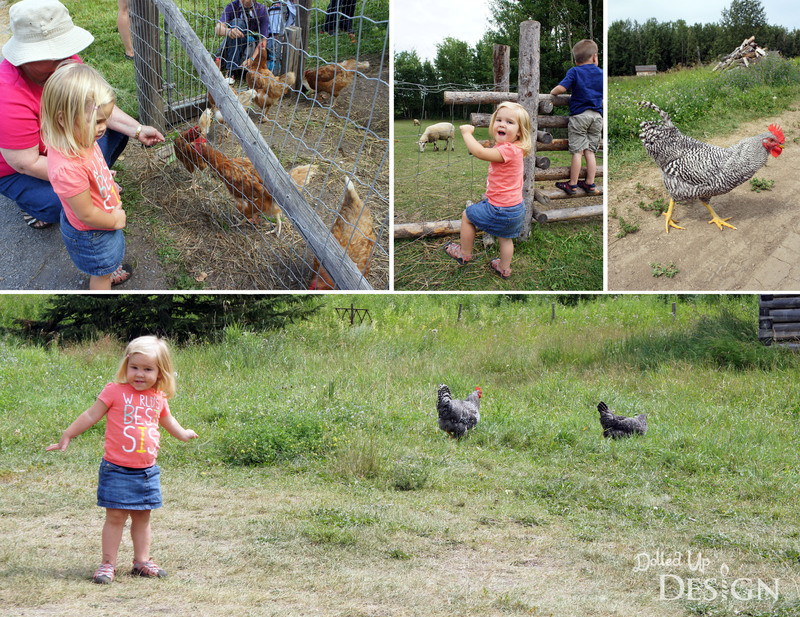 They were excited to see the pigs, horses, sheep and chickens. After spending the day chasing chickens, my youngest has now happily added “bock bock” to her vocabulary. 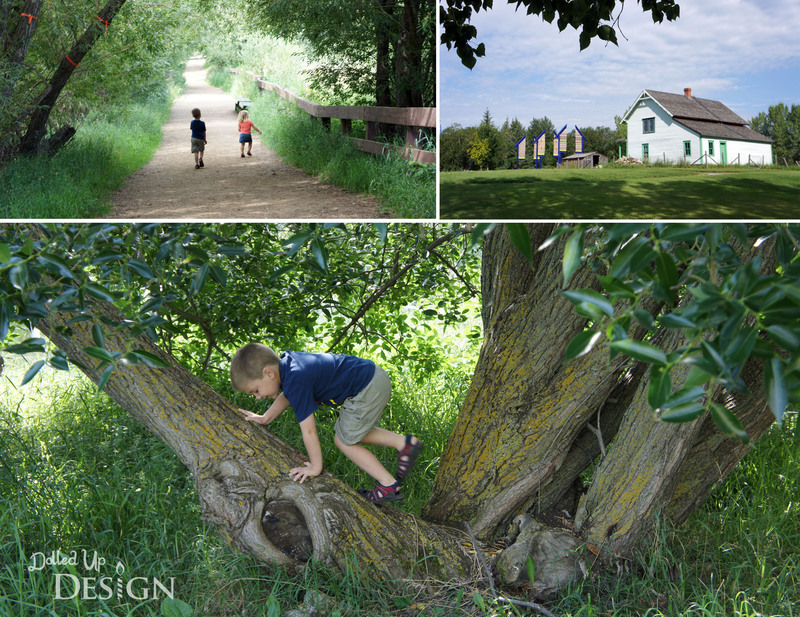 It wasn’t the most exciting of places to take young children, but there was plenty of space for them to run and explore, and we managed to find enough to keep their interest. 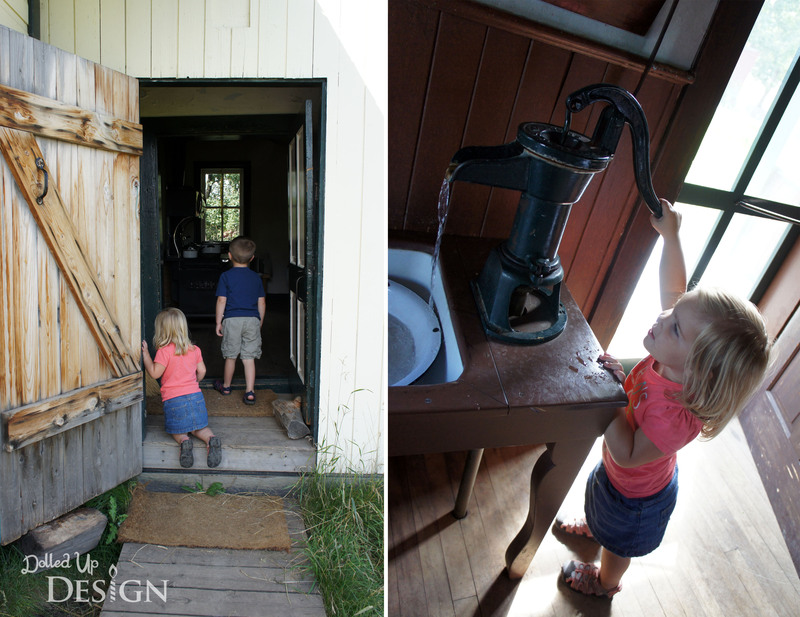 One of my favorite buildings was the old school house. We toured it just after a summer camp group had gone through and it looked like the teacher was doing a good job leading them through some games in the schoolyard. 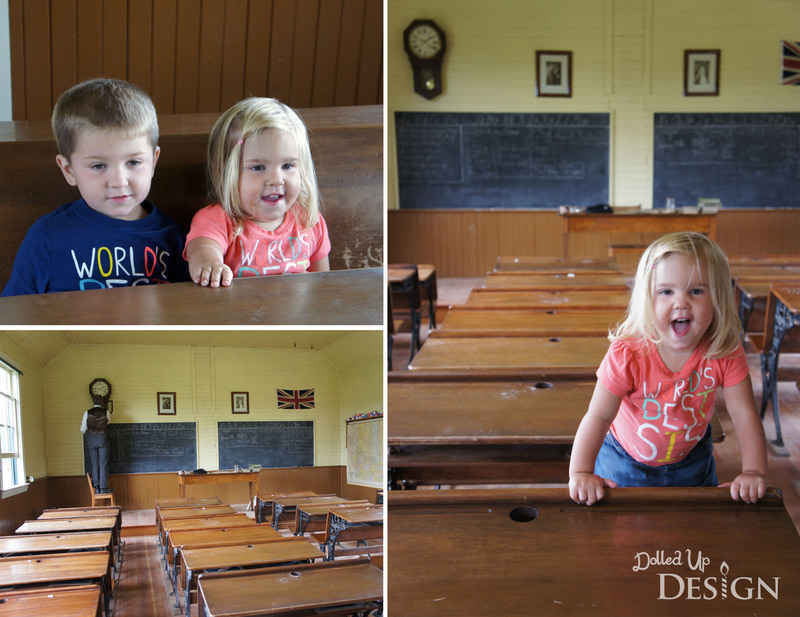 Keira was just happy to test out sitting in all the desks! 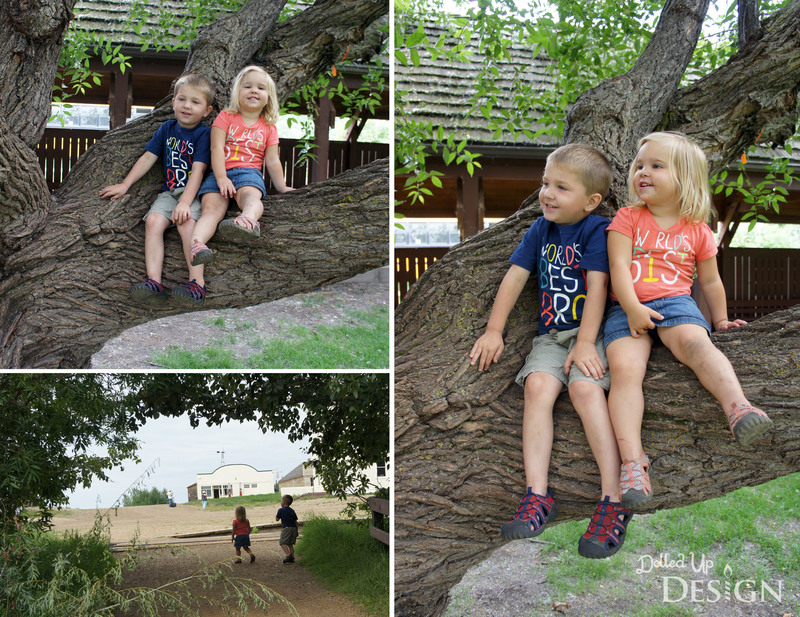 Overall it was a nice day and I am glad the kids got to spend some time with Grandma. After touring the village, we wrapped up our day by enjoying a delicious sausage, cabbage roll and perogy lunch from the food counter on site. 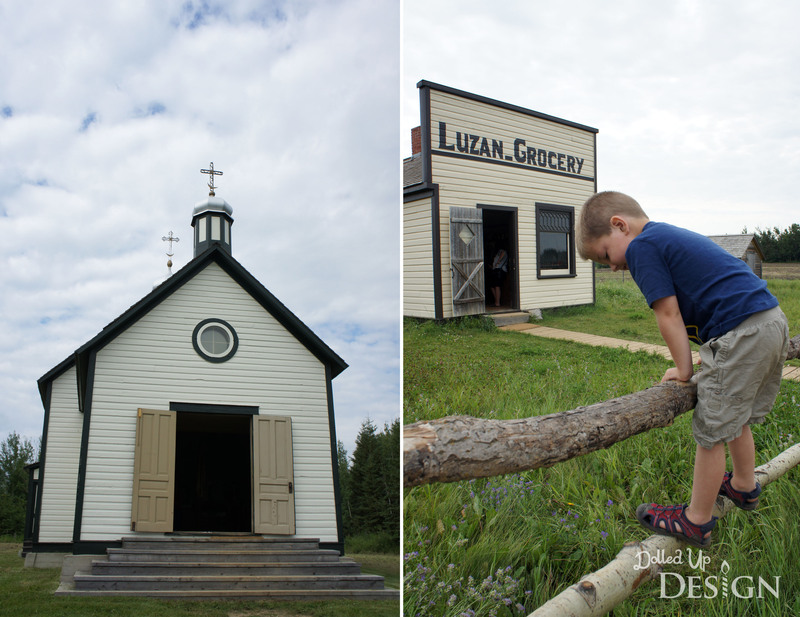 I was glad to finally see the Ukrainian Cultural Heritage Village, but I don’t think we’ll make plans to go back anytime soon. As mentioned, it was not the most exciting of places for my young kids and I didn’t like the fact that it was so widespread. 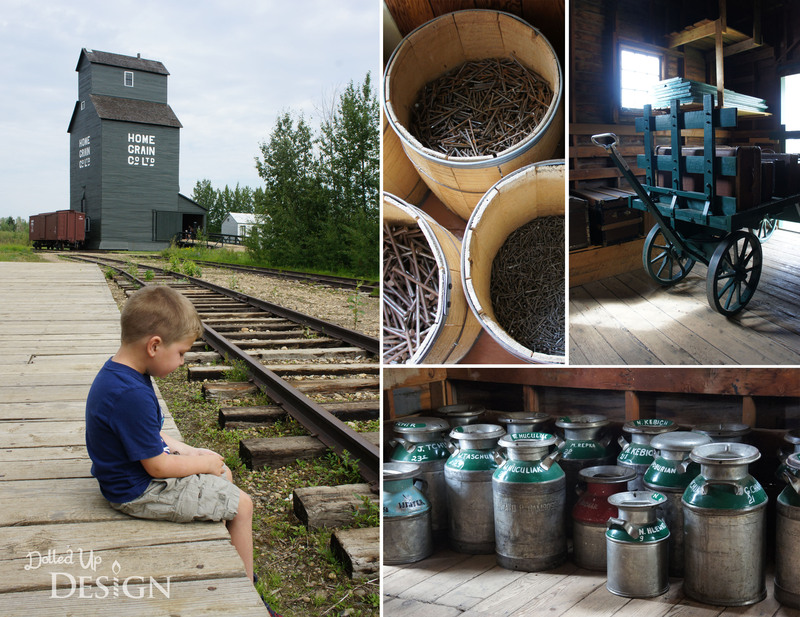 In terms of historic villages, my kids get far more enjoyment out of Fort Edmonton and I think that will continue to be our go-to in the summer. Watch for our review of that next!